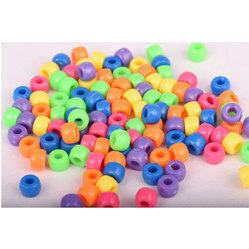 Meticulously crafted these pony beads are highly attractive and appealing. They show the artistic acumen of our designers. Color: Red, Blue, Green, Yellow, Pink, Silver, golden, Brown and many more. These glass crow/roller beads are smooth round beads with large holes. The hole size is approximately 4mm. 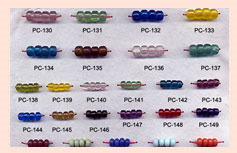 These crow beads are a loose assortment of colors, They are handmade one bead at a time. 9mm crow beads made to order with good shape and good quality. Our beads are pritty much consistent in shapes and size. Bulk order prices are available.